The Novartis case  is a magnum opus of Indian Patent Law. The insightful judgment in this case, on the one hand, is a protection to Indian Patent Law being monopolized by a foreign pharmaceutical company monopolizing the new cancer savior product , and, on the other hand, seems to have, though not directly or overtly but covertly and ostensibly, expounded the constitutional principle of “economic unity and fiscal integration”. The Apex Court’s two-judge Bench landmark decision has, on the one hand, unequivocally protected India’s Patent Law from being hijacked by a foreign pharmaceutical company, which tried to monopolize the patent right globally over its new found product as a consequence of ‘variations’ of chemical process devoid of ‘invention’ for curing cancer disease permeating economic globalization in the new world order of privatization and globalization in the WTO regime, and, on the other hand, has not permeated the effacement or abdication of Indian State’s sovereignty over her economic and fiscal interests. The Supreme Court was grappled with intensely debated questions and the Supreme Court was urged to strike a balance between the need to promote research and development in science and technology and to keep private monopoly (called an ‘aberration’ under our Constitutional scheme) at the minimum; viz., What is the true import of amended (2005) section 3 (d) of the Patents Act, 1970? How does it interplay with clauses (j) and (ja) of section 2(1)? Does the product for which the appellant claims patent qualify as a ‘new product” which comes through an invention that has a feature that involves technical advance over the existing knowledge and that makes the invention “not obvious” to a person skilled in the art? In case the appellant’s product satisfies the tests and thus qualifies as “invention” within the meaning of clauses (j) and (ja) of section 2(1), can its patentability still be questioned and denied on the ground that the amended section 3 (d) puts it out of the category of “invention”? The Court was seized of the fact situation and realized that the answer to these questions depends whether the appellant is entitled to get the patent for the beta crystalline form of a chemical compound called “Imatinib Mesylate” which is a therapeutic drug for chronic myeloid leukemia and certain kinds of tumours and its marketed under the names “Glivee” or “Gleevee”. Arguments were advanced about India’s obligation to faithfully and obediently comply with its commitments under international treaties TRIPS under the WTO and the counter memorials were made to faithfully as well as obediently protect India’s status as “the pharmacy of the world” under the protective umbrella of avowed constitutional and patent law truths. It was urged in the counter arguments before the Supreme Court Bench to uphold the rights granted by the statute, because an error of judgment by it will put life-saving drugs beyond the reach of the multitude of ailing humanity not only in India but in many developing and under-developed/developing countries, dependent on generic drugs from India. This is the gist of the counter arguments and memorials that undoubtedly and manifestly seem to have, in our humble submission, been the genesis of protection of constitutional principle of economic unity and fiscal integration. This observation shall be clear from the facts that give rise to the above mentioned questions providing the contextual approach for the arguments. 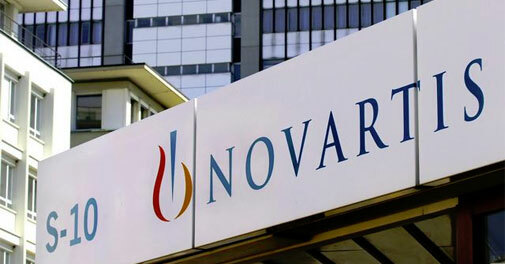 Novartis filed the patent application claiming patent over the product called ‘Imatinib” in India in 1998 after India had agreed to enter the WTO and to abide by worldwide intellectual property standards under the TRIPS agreement. As a part of TRIPS agreement, India made changes to its Patent Law, the biggest of which was that prior to these changes, patents on products were not allowed. However, afterwards these amendments patents with restrictions as per the amendments were allowed. The changes in the Indian Patent Law came into force in 2005. Novartis’ application for patent was placed in the ‘mailbox’ with others to wait until the amendments in the Indian Patent Law according to TRIPS agreement. Subsequently, India also introduced some more amendments to its Patent Law in 2005, just before the amended patent laws came into force, which played a key role in the rejection of the patent applications. The history regarding ‘Imatinib’ is fascinating. Jurg Zimmermann invented a number of derivatives of varied chemicals in free base form, later given the International Nonproprietary Name ‘Imatinib’ by the World Health Organization, capable of inhibiting certain protein kinases, especially protein kinase C and PDGF (plated-derived growth factor)-receptor tyrosine kinase having valuable anti-tumour properties used for the treatment of warm-blooded animals, for example, as anti-tumoral drugs and as drugs against atherosclerosis. The derivates including ‘Imatinib’ were granted US patent on 28 May 1996 as ‘the Zimmermann Patent’. A European Patent was also granted to the ‘Zimmermann compounds’ on its patent application. In the background of the above, it is clear that after the application for patent was made and before it was taken up for consideration, a number of fundamental changes were brought about in the Patent Act, 1970. The appellant was fully aware of these changes in the Indian patent law. In order to reinforce its claim for patent for the subject product and to bring its claim within the four corners of the changed law, it filed four affidavits of certain experts, two of which stated that the beta crystal form of Imatinib Mesylate has much higher bioavailability as compared to Imatinib in free base for. As already mentioned above, the patent application was made on 17 July 1998, giving July 18, 1997, the date on which the appellant had applied for grant of patent for the subject product in Switzerland, as the ‘priority date’. On july 18, 1997, Switzerland was not one of the ‘Convention Countries’ as defined in section 2 (1) (d) read with section 133 of the said Act and it was notified as a ‘Convention Country’ as per section 133 of the said Act on 30 November 1998. The fact situation also reveals that when the appellant filed its application for patent, the patent law in India with regard to product patent was in a transitional stage and, as such, the appellant’s application lay dormant under a procedural arrangement called “the mailbox procedure”. Before the application for patent was taken up for consideration, the appellant made an application on 27 March 2002, for grant of “Exclusive Marketing Rights” (EMR) for the subject product under section 24A of the Patent Act, which was at that time on the Indian statutory book and which, now, stands deleted. The Patent Office granted EMR to the appellant by an order dated 10 November 2003. The appellant’s application for patent was taken out of the “mailbox” for consideration only after the amendments were made in the Patent Act with effect from 1 January 2005. But before the patent application was taken up for consideration, the patent application, it had attracted five pre-grant oppositions from Cancer Patients Aid association, NATCO Pharma Ltd., CIPLA Ltd., Ranbaxy Laboratories Ltd., and Hetro drugs Ltd., under section 25(1) of the Patent Act. In response to the pre-grant oppositions, as noted above, the appellant had filed the affidavits on the issue of bioavailability of Imatinib Mesylate in beta crystalline form. The Assistant Controller of Patents and Designs heard the appellant and the opposition parties on 15 December 2005 and rejected the appellant’s patent application for grant of patent to the subject product holding that the invention claimed by the appellant was anticipated by prior publication, i.e., the Zimmermann Patent; the invention claimed by the appellant was obvious to a person skilled in the art of in view of the disclosure provided in the Zimmermann Patent specifications; the patentability of the alleged invention was disallowed by section 3(d) of the Patent Act; 18 July 1997, the Swiss priority date was wrongly claimed as the priority date for the application in India; and, hence, the alleged invention was also anticipated by the specification made in the application submitted in Switzerland. We are fully conscious of the Appellant’s benevolent GIPAP program for free distribution of GLEEVEC to certain cancer patients. But as per information furnished in its counter-written arguments by the respondent that when the appellant was holding the right as EMR on GLEEVEC it used to charge Rs. 1,20,000 per month for a required dose of the drug from a cancer patient, not disputed by the appellant, which in our view is too unaffordable to the poor cancer patient in India. Thus, we also observe that a grant of product patent on this application can create a havoc to the lives of poor people and their families affected with the cancer for which this drug is effective. This will have disastrous effect on the society as well. Considering all the circumstances of the appeals before us, we observe that the appellant’s alleged invention won’t be worthy of a reward of any product patent on the basis of its impugned application for not only for not satisfying the requirement of section 3(d) of the Act, but also for its possible disastrous consequences on such grant as stated above, which also is being attracted by the provisions of section 3(b) of the Act which prohibits grant of patent on inventions, exploitation of which could create public disorder among other things. We, therefore, uphold the decision of the Assistant Controller on section 3(d) of the Act to the extent that product patent cannot be made available to the appellant. The IPAB’s conclusive finding was that ‘no product patent for the subject patent could be allowed in favour of the appellant, but, however, the appellant could not be denied the process patent for preparation of Imatinib Mesylate in beta crystal form. Against the order of the IPAB, the appellant came directly before the Supreme Court by SLP under Article 136 of the Constitution of India. Since the case involved a number of seminal issues and in the larger interest of the country’s patent law vis-à-vis the constitutionalism, the Apex Court considered to take up the legal as well as constitutional conviviality for an authoritative pronouncement. The puzzle before the Apex Court related to the hide and seeks of monopolizing patent of GLEEVEC the beta crystalline form of Imatinib Mesylate as the Novartis had patented Imatinib in many countries. Another riddle related to Indian economic issue, viz., Novartis made use of the EMR to obtain orders against some generic manufacturers who had already launched GLEEVEC in India. Novartis set the price of GLEEVEC at US$ 2666 per patient per month whereas generic companies were selling their versions at US$ 177-266 per patient per month. Novartis also initiated a program to assist patients who could not afford its version of the drug, concurrent with its product launch. The solving of the puzzle or riddle solely depended on the revelation of the amended section 3(d) of the Patent Act which redefined the concepts of inventions and patentability, viz., such inventions are patentable if “they differ significantly in properties with regard to efficacy”. Therefore, the case before the Apex Court hinged on the interpretation of section 3(d). Besides, the Apex Court deeply examined these questions which were closed to the heart of the amended shape of the Indian Patent Act, 1970 vide 2005 amendment. Why was section 5, which, in one sense, was the distinctive feature of the patent law in India, taken off the statute book? What were the issues the legislature was trying to address in this perspective? What does the Parliament wish to check the mischief through clauses (j) and (ja) of section 2(1), and section 3? How is it that some of the provisions of the Act apparently seem to be of no use, e.g., sections 2(1) (l) and 2(1) (ta)? Why is it that some of the crucial provisions in the Act appear to be wanting in precision and clarity? It would not be an exaggeration to say that the industrial progress of a country is considerably stimulated or retarded by its patent system according as to whether the system is suited to it or not. … Patent systems are not created in the interest of the inventor but in the interest of national economy. The rules and regulations of the of the patent systems are not governed by civil or common law but by political economy. To minimize, if not eliminate, the abuses to which a system of patent monopoly is capable of being put and the grant of patents would equally as well as clearly identify certain inventions, research and development and industrial progress or advancement, the patent law was suitably amended in 2005 which would not be detrimental to the national health or well being of We the People of India. Such amendments in the Patent Act, 1970, “came in a complete new avatar” — a new incarnation of “New Invention” and “Pharmaceutical Substance”. Section 2(1) (ac) defines “capable of industrial application” in relation to an invention, means that the invention is capable of being made or used in an industry; section 2(1)(j) defines “invention” means a new product or process involving an inventive step and capable of industrial application; section 2(1)(ja) defines “inventive step” means a feature of an invention that involves technical advance as compared to the existing knowledge or having economic significance or both and that makes the invention not obvious to a person skilled in the art. A product to qualify as an invention must satisfy three conditions, viz., (i) it must be “new”, that is to say it must not have been anticipated; (ii) it’s coming into being must involve an “inventive step”; and (iii) it must be “capable of industrial application”, that is to say it must be capable of being made or used in an industry. A combined reading of the above mentioned sections unequivocally unfold that a “product” must satisfy three tests in order to qualify as “invention”, viz., (i) it must be “new”; (ii) it must be “capable of being made or used in an industry”; (iii) it must come into being as a result of an invention which has a feature that (a) entails technical advance over existing knowledge; or (b) has an economic significance; and (c) makes an invention not obvious to a person skilled in the art. In the backdrop of the above most crucial amendments, it seems that the mere discovery of a new form of known substance which does not result in the enhancement of the known efficacy of that substance shall not come within the ambit of “invention” or “new invention”, and as such shall be mere “variation” of the existing chemical processes, and, hence, such variation devoid of “new invention” shall not qualify for patent. Amended section 3(d) is the sole soul of Indian patent law that takes care that only true and genuine inventions get patented and it provides an effective check on spurious or specious inventions which are nothing but the variations of the existing chemical processes claiming repetitive patenting of such variations under the refuge of invention. The Apex Court, thus, rightly explained “why and what for” the amendments to the Patent Act, 1970 were desired as an obligation to TRIPS agreement in its far reaching observation which vouches for new legislative policy “preventing mischief rule”: “We are clearly of the view that the importance of the amendment made in section 3(d) cannot be under-estimated. … We have, therefore, no doubt that the amendment/addition made in section 3(d) is meant especially to deal with chemical substances, and more particularly pharmaceutical products. The amended portion of section 3(d) clearly sets up a second tier of qualifying standards for chemical substances/pharmaceutical products in order to leave the open for true and genuine inventions but, at the same time, to check any attempt at repetitive patenting or extension of the patent term on spurious grounds”. The genesis of the mischief patent application, viz., Imatinib Mesylate in beta crystalline that is Gleevec, of the appellant lay in one of the derivatives of the Zimmermann patent called Imatinib. The Zimmermann patent teaches any person skilled in the art how to use Imatinib or a pharmaceutically acceptable salt thereof, in a pharmaceutical composition for treating tumours or in a method of treating warm-blooded animals suffering from a tumoral disease. The teaching in the Zimmermann patent did not go beyond Imatinib Mesylate and did not extend to beta crystalline form of Imatinib Mesylate, which represented a manipulative step shorn of ‘inventive step’ in a method of treating tumor disease in a patient. … we are completely unable to see how Imatinib Mesylate can be said to be a new product, having come into being through an “invention” that has a feature that involves technical advance over the existing knowledge and that would make the invention not obvious to a person skilled in the art. Imatinib Mesylate is all there in the Zimmermann patent. It is a known substance from the Zimmermann patent. It may be submitted that the Supreme Court Division Bench has handed down a broader ruling on patent law. The Supreme Court has looked into the wider interests of patentability. The patent law concerns with social and economic interests, and the Apex Court has protected the both by unearthing the mischief and specious claims of the appellant who tried to build up his claim on the rope of sand. The Supreme Court thus in an ocean within a tear has protected both elements, viz., social rights of the people, i.e., health, and economic as well as commercial interests of the country against those who try to meddle with it as a play thing; it has prevented ever greening patents; it has disallowed monopolization of patents by repetitive methods. The Apex Court has not allowed the ‘compromising conflict’ approach to the constitution principle of economic unity and fiscal integration. The decision indeed expounds a principle which shall bind the posterity for ages to come, undoubtedly. Visit Prof. K. L. Bhatia’s Blog here.. Feel Free to leave a comment. Professor Dr. K.L. Bhatia, B.A. (Hons) (J&K); LL.M., Ph.D. (Pune); DAAD and Max-Planck Fellow and Alumni, Presently Professor of Law at National Law University, Jodhpur, (Formerly Head, Dean and founder Director The Law School, Faculty of Law, University of Jammu; Director Amity Law School; Dean and Professor Emeritus UPES); Manu Bhatia Sharma, BSL, LL.B. (ILS Pune University); LL.M. (GNDU Asr); ICRC, Henry Dunnant and Max-Planck Fellow), Research Scholar. Novartis AG v. Union of India, Natco Pharma Ltd. V. Union of India and Cancer Patients Aid Association v. Union of India, Civil Appeal No. 2706-2716 of 2013 decided by a two judge Bench of the Supreme Court on 1 April 2013. Private monopoly is a deviation from the Indian Constitution truth encapsulated in the constitutional language of Article 39 (b) and (c), viz., that the ownership and control of the material resources of the community are so distributed as best to subserve the common good; that the operation of the economic system does not result in the concentration of wealth and means of production to the common detriment. It may be interesting to observe, looking back to the history of patent law in India, Patent and Designs Act, 1911 was colonial legacy that promoted foreigners’ interest and least helped in the promotion of scientific research and industrialization in India, and it curbed the innovativeness and inventiveness of Indians. Justice Dr. Bakshi Tek Chand’s report on the working of this law recommended for prevention of misuse or abuse of patent rights in India. The report also observed that the patent legislation should contain a clear indication that food and medicine and surgical and curative devices were to be made available to the public at the cheapest price commensurate with giving reasonable compensation to the patentees. Consequently, the said law was amended in 1950 in relation to working of inventions, including compulsory licensing and revocation of patents. In 1957, another committee under the chairmanship of Justice N. Rajagopala Ayyangar observed that the share of Indian in the field of patents was the least, since the grant of patents to Indians and foreigners was in the ratio of 1:9. Justice Ayyangar also pointed out that this ratio did not take into account the economic or industrial or scientific importance of the inventions. Consequentially, the birth of Patent Act, 1970, amended by 2005 amendment Act with effect from 1 January 2005. Supra note 2 at p. 18. Id. at pp.81, 85, 86, 87, 89, 96.